Allergy testing can be very useful to find out what is causing your symptoms. However, where intolerances are concerned I don’t recommend testing as it tends to be unreliable and is expensive. If you have avoided the food for several weeks your intolerance may not show up, because the antibodies will no longer be present in your blood and you will present with a false negative. Instead, I recommend an elimination diet, whereby you remove all foods that might be causing you problems for four weeks. 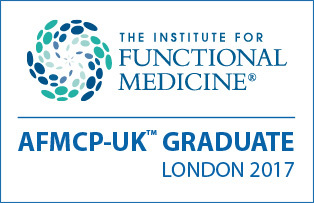 I recommend the Functional Medicine Elimination diet, together with the full protocol. Once you have removed the foods that are inflaming your body you then re-introduce them one at a time and observe your body for any reaction. It is usually very clear which the problem foods are and which foods are fine for you. It is important to remove any parasites present at the start of treatment since parasites can damage your gut and be the cause of many of your symptoms. Pinworms are simple to remove, you simply go to your nearest chemist and you take 3 doses, (not just 2) spaced 2 weeks apart, of Mebendazole. If you have other parasites then a longer treatment is required. Blastocystis Hominis is successfully treated with a combination of herbs, including but not limited to black walnut, wormwood and cloves. The more herbs present the less the likelihood of the parasite becoming immune to the herbal tincture. Oregano Oil, Olive Leaf Extract, and zinc also help. I strongly recommend you do this under the guidance of a practitioner. Parasites become immune to any single supplement taken for more than several weeks. Also important while you are eliminating parasites is to avoid the foods they feed off, such as sugar, refined carbs and dairy. Colonics are an essential part of your Blastocystis elimination programme. Being a small cystic parasite they hide in the folds of your bowel. Without a few colonics you might not eliminate all of the cysts from your bowel. If you are suffering from allergies and / or intolerances then almost certainly your gut needs treating for bacterial infection. The GI Effects or the CDSA2.0 lab tests by Genova commonly reveal the presence of pathological bacteria and yeasts in my clients, such as Klebsiella, Campylobacter, or Candida Albicans. Genova labs also test several different natural treatments against any pathological bacteria and fungi showing in your results, so you know which will be the most effective; is it Berberine, or oregano oil? Are you better taking garlic or plant tannins? Your symptoms might be fully or partially caused by the presence of pathogenic bacteria or fungi, and removing these might eliminate quite a few of them. Most importantly, your gut won’t heal if these remain present. In the replace stage you want to replace any foods or drinks that are feeding the bad guys and causing inflammation inside of you. So you take out the sodas, diet drinks and artificial sweeteners and you replace these with water and healthy teas. You eliminate high sugar foods and refined carbs and replace these with healthy fats, proteins and above all vegetables. You replace sitting at your desk all day and on the sofa all evening, with standing at a standing desk and some daily exercise. Once we have removed the inflammatory foods, parasites and pathogenic bacteria and fungi we want to repair the gut. Bone broth is an excellent healer of your gut because it contains collagen. L-glutamate repairs leaky gut, so do Vitamin D(2) and colostrum (ideally from goat’s milk in case you are intolerant to cow’s milk). We have been indoctrinated by false news that fats are bad for you and cause heart attacks and weight-gain. In fact it’s sugar, carbs and processed fats such as hydrogenated fats and vegetable oils that cause heart attacks, high cholesterol and weight-gain, not healthy fats. So we have to change our way of thinking. Did you know that breast milk is made up of 48% saturated fats, 33% monounsaturated fats and 16% polyunsaturated fats? Breast milk is the best food for infants. Saturated fats from animal meats are the preferred energy source for the heart muscle, enhance our immune system, protect us from infections and are essential for the body(1). Once we have removed the harmful elements and repaired the gut it’s time to rebalance. Maybe you were infected with parasites because you were low in Hydrochloric Acid and you need to increase your levels of this? Or you lack digestive enzymes to fully break down your food? Possibly your pancreas has been under functioning and you need pancreatic enzymes to help it recover. You may need to repopulate your gut with probiotics. Your lab test will show you whether it is the upper gut lactobacillus that are lacking, or the lower gut bifidobacterium. You want your probiotic to provide you with whatever is missing. As well as taking probiotic capsules you want to provide your beneficial gut flora with food, so glucomannan fibre is a wonderful addition to your diet along with plenty of vegetables and a little fruit. Fermented foods such as sauerkraut or milk kefir are full of live lactobacilli and help to populate your gut with beneficial bacteria. Vitamin D is also important for gut integrity(2). You are most likely deficient in minerals such as zinc and magnesium because you weren’t able to absorb these from your foods since you weren’t fully digesting what you ate. This final stage of healing should bring a significant change in your energy and general wellbeing.